What? 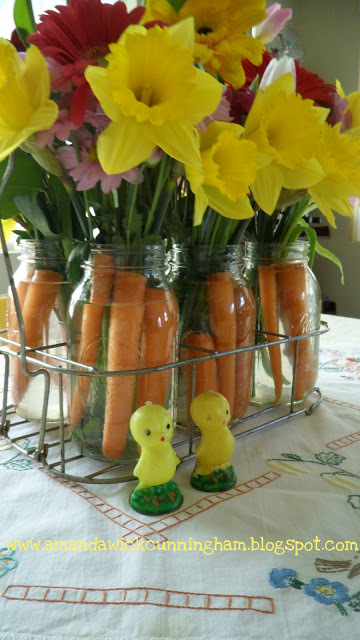 Carrots and flowers in jars? Yep add carrots and flowers to your jars for a unique and gorgeous spring display like this one from Kaleidoscope of Colors. This idea is so original and I love it. All it takes is a package of carrots and some imagination. Click here to read the full post and get the instructions for making your own.